So I was puttering around the internet... again. Sort of poking for information on vintage shaving gear... again. 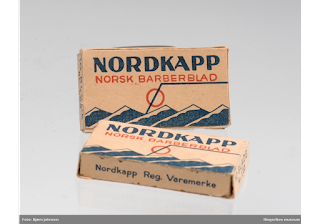 Stumbled over a now defunct Norwegian manufacturer of razor blades... again. 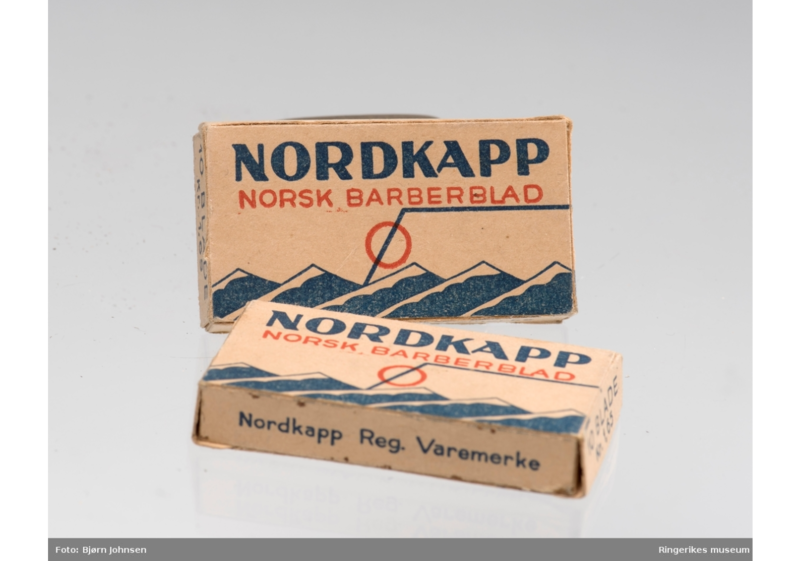 Nordkapp (the North Cape) was one of two trademarks used by "Nye Norske Barberbladfabrikk" (New Norwegian Razor Blade Factory) in Oslo. Company founded in 1940, likely after the German invasion severly reduced the import of blades from the UK and US. Folded sometime between 1949 and 1951, likely killed off by imported blades. 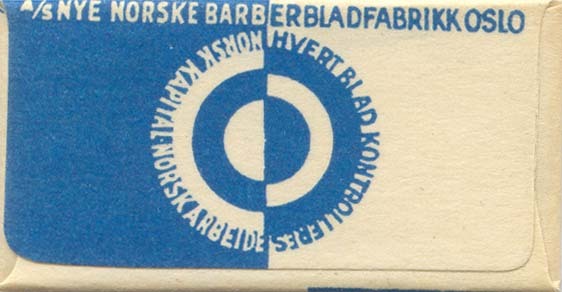 Back of the sleeve states that the price was 17 øre per blade, and that each blade was controlled for quality. To compare; adjusted for inflation, that would be almost 5 Norwegian kroner today, or roughly 60 US cents. Listing the price per blade can also be an indication that blades were sold as singles... something that makes the mind boggle a bit today. 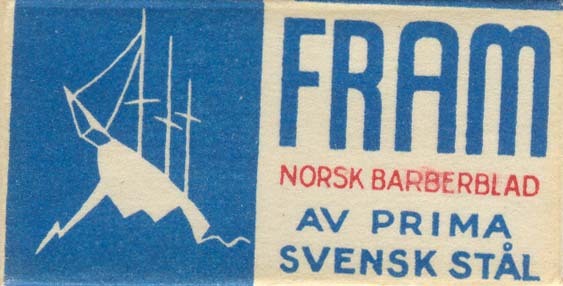 Fram - meaning Forward, but obviously named for the well known polar ship - was the other trademark used. Front of the sleeve states the blade is made from "first class Swedish steel", while the backside states - in addition to the quality control statement - that it's made with Norwegian money and Norwegian work. Portraying the factory as wholly Norwegian was probably a smart thing to do both to the public and the occupiers; the Germans and the Quisling collaborators tended to come down heavily on anything that hinted at the western allies, while the public tended to boycott any industry that had overt connections to Germany. All in all a fun little excursion into Norwegian razor blade history. This is quite good razor blade history. The packaging design is well thought out: beautiful, subtle, sophisticated. Much different than many of today's packaging designs. I wonder how many of these blades made their way into a Gillette Tech razor?